You dislike the look of your metal dental fillings in Newbury Park. Plus, you understand that they might pose some safety issues. Why not explore tooth-colored fillings with Dr. Gary Chaffee? Seamless, durable and beautiful, tooth-colored fillings in Newbury Park restore decayed teeth with less enamel preparation. Plus, they simply blend right in with existing tooth structure. Self-confidence comes with a great smile. Change your teeth for the better with services from premier cosmetic dentist, Dr. Gary Chaffee in Newbury Park. As much as we wish there were, there’s no way to prevent tooth discoloration that happens with age — and with each year that passes, your smile looks a little dingier. What you can do, though, is take little steps to increase whiteness. Cutting back on your coffee habit is an example. 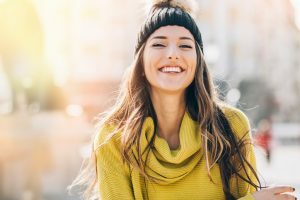 But if small lifestyle changes aren’t enough to give you the whiter teeth you want, you should know about your options with Newbury Park teeth whitening — just in time for the holidays! Well, here we are in September already. Unbelievable. Where do the months go? Before you know it, Thanksgiving, Christmas and New Year’s will be upon us. If you’d like to wow your family and friends with a beautiful, new smile, then now is the time to start planning. 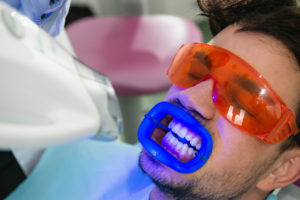 At Paraiso Family Dental & Orthodontics in Newbury Park, CA, Dr. Gary Chaffee and the team can use porcelain veneers to give you a smile that is appealing, attractive and confidence-boosting. Oh, to have a beautiful and straight smile. Wouldn’t that be nice? Everyone pines for a smile that can turn heads in all the right ways. Look at celebrities; their smiles literally look like a million bucks. You’d be surprised to know that you don’t need to be loaded like a celebrity in order to get the smile you’ve always wanted. Did you know there are ways to straighten your teeth that take a lot less time than traditional braces and aren’t nearly as painful? Invisalign is a name you should get to know. It’s a state-of-the-art straightening device that “invisibly” shifts teeth into position. 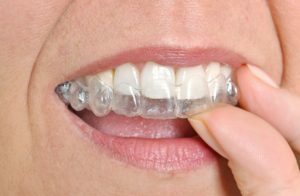 More patients, especially adults and teens, are choosing Invisalign over any other straightening treatment out there, and for good reason. Our Newbury Park, CA office has the tools and team to get you the smile you’ve always wanted, and Invisalign is one of the ways we can improve your smile’s appearance. After reading this blog, you’ll never consider traditional braces treatment again.